Appropriate sustainable intensification (SI) of agriculture is required in Sub-Saharan Africa to meet the rising demand for food and protect resources. Agroforestry and green manures, diversification with grain legumes, conservation agriculture and integrated nutrient management with mineral and organic fertilizers are SI options widely promoted for maize-based African smallholder systems. To assess the potential of SI options to contribute to multiple ecosystem services in these systems, we evaluated 17 published multi-year and site studies, using radar charts to systematically measure provisioning services (annualized maize grain and protein yields) and supporting services (vegetative biomass, rain productivity and agronomic efficiency of N fertilizer) among the studies and across technologies. We frequently observed trade-offs amongst provisioning and supporting ecosystem services, especially in rotational systems where the addition of a grain legume increased maize response to fertilizer but reduced annualized maize grain yields. Consistent gains in maize grain yield and vegetative biomass, and protein yield and rain productivity were obtained with the application of N fertilizer across the studies. More efficient use of N fertilizer was associated with legume diversification, particularly intercrop systems, with large incremental yield gains (30–80 kg grain kg−1 N fertilizer) at low fertilizer rates (< 50 kg N ha−1). These systems produced substantial amounts of grain, protein, vegetative biomass and high resource use efficiency (1 to 5-fold increase relative to sole maize). In contrast, performance was inconsistent from conservation tillage practices. The highly variable performance of many options that contribute to SI suggests the importance of their adaptation to local conditions and support for farmer innovation, rather than prescribing the use of fixed SI interventions. Overall, for maize system intensification, we suggest expanding farmer access to multipurpose legumes (such as long-duration pigeon pea) that provide food and copious biomass, and to N fertilizer, along with the local adaptation of water-conserving tillage practices. We thank Emily May and Danielle Zoellner for help with literature citing and data preparation, as well as Regis Chikowo and five anonymous reviewers for their suggestions on drafts of this paper. 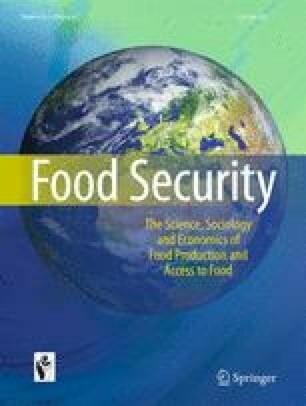 A substantial part of the work was carried out while the lead author was affiliated with the International Food Policy Research Institute’s Malawi country program using funds from Irish Aid Malawi. Further financial support was provided by United States Agency for International Development - Feed the Future, through the Africa RISING project of the International Institute for Tropical Agriculture. Stroosnijder, L. (2007). Rainfall and Land Degradation. In Climate and land degradation. Berlin: Springer Berlin Heidelberg, pp. 167–195. Available at: http://link.springer.com/10.1007/978-3-540-72438-4_9. Waddington, S.R., Sakala, W.D., & Mekuria, M. (2004). Progress in lifting soil fertility in Southern Africa. Proceedings of the 4th International Crop Science Congress, 26 September - 1 October, 2004. ICSC, Brisbane, Australia. http://www.cropscience.org.au/icsc2004.